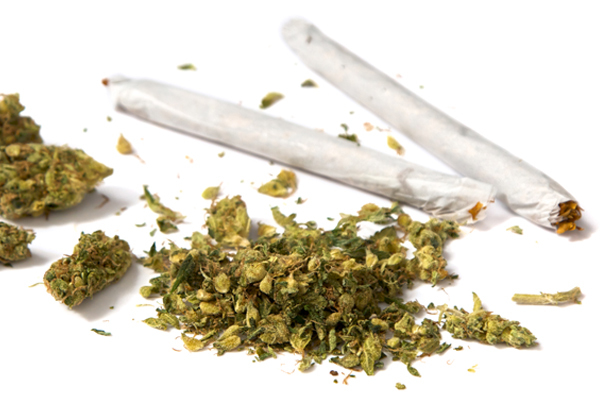 Will Illegal Marijuana Possession Be a Thing of the Past? (214) 234-9077 Will Illegal Marijuana Possession Be a Thing of the Past? Home » Will Illegal Marijuana Possession Be a Thing of the Past? In places like Dallas, Texas illegal marijuana possession is at an all-time high. With the most recent success of pot legalization in Colorado and other states, progressives are more troubled than ever with the constitutional gridlock in Washington and are arranging a major ballot initiative to push throughout the country. They are betting on a very favorable electorate in 2016, with a lot of parties now supporting issues such as background checks for weapons, improving the base pay, and marijuana legalization advocacy. Organizations are now far more positive after the big success on progressive ballot campaigns presented to the conservative bloc of voters in 2014. In 2016, the more youthful, liberal voters are expected to appear in droves, and generate more notable wins. Referendums including gun regulation, economic fairness issues (consisting of compensated sick leave and equal pay), and marijuana legalization are estimated to outnumber those of 2012. This is a direct sign that liberals are allowing a state-based model that lets them circumvent legislature and Congress. Conservatives, moreover, are not taking this lightly and are vowing to put an end to the momentum with a set of competing ballot propositions. Nonetheless, pot legalization advocate’s approach, in particular, is presumed to do quite well, considering the jarring demographic variances among midterm and presidential years. “Especially with gridlock in Washington and fewer states likely to address the minimum wage legislatively, we’re likely to see more ballot initiatives on the minimum wage and other progressive economic issues,” stated Paul Sonn, general counsel at the National Employment Law Project. The organization has supported minimum wage pushes across America. Sonn’s statement reflects on the midterm election, in which the GOP took back the Senate and made major gains in the House. It was the lowest voter turnout since 1942, with much younger and minority voters making up a much smaller sized percentage of the voting pool. Things are much more ideal now for progressives, as minimum-wage-hike success sweep across four hardened red states on November 4th– including, Arkansas, Alaska, Nebraska, and South Dakota. Sonn, however, feels confident that the rise in economic ballot propositions will boost turnout more than in the last election cycle. Although Sonn can not certify which new initiatives will be on the ballot, he did say that states like Colorado, New Mexico, Maine, Missouri, and Washington are places where gridlock makes ballot initiatives an appealing alternative. According to experts, paid sick leave and equal pay propositions are also likely to be on the ballot in 2016. The senior vice president of the Center for American Progress, Arkadi Gerney, declared the present trend in economic initiatives is largely in reply to the failings of Congress and state legislatures. They just have not managed the decades-long wage stagnation. More than a few marijuana legalization organizations are also getting ready for the 2016 election in Arizona, Maine, California, Nevada, and Massachusetts. Heads of these groups also say they have a good chance at being on the ballot in Montana and Missouri, as well. They are hopeful due in part to the legalization of marijuana possession in Oregon and Alaska in 2014, and the legalization of the plant’s use and transfer in Washington, D.C. A constitutional amendment requiring a 60% approval failed in Pennsylvania, which would have permitted the usage of medical marijuana, but it still garnered a huge 58% of the vote. It’s true that the nation appears to be more pro-pot as the years progress, but these updated campaigns will not be won without a fight. 2012 brought success in states like Colorado and Washington (the first two states to legalize small marijuana possession), but at the same time, there were some substantial deficits, including the embarrassing defeat of recreational marijuana legalization in the bluest parts of Oregon. Anti-marijuana groups are said to be on the counteroffensive. “We are ramping up our efforts,” expressed Kevin Sabet, who co-founded the anti-legalization Project SAM (Smart Approaches to Marijuana) with former Rep. Patrick Kennedy (D-R.I.). “It’s clear that we have a lot of work to do. I’m not looking at this with rose-colored glasses,” Sabet appended. Still, he attested that a spending benefit was a fundamental cause for legalization successes. Anti-legalization advocates have badly outspent in both Oregon and Alaska this past cycle.Sabet would not eliminate some anti-legalization ballot initiatives, either, featuring those that may potentially tie state marijuana policy to federal policy, where halting prohibition would be much more difficult. “All options are on the table,” he claimed.